Ploughing snow is a tough job that needs tough equipment. That’s especially true in the north of Sweden, where temperatures reach as low as ‘check again, Bjorn, it can’t be that cold’ and snowfall is as regular as the consumption of meatballs. 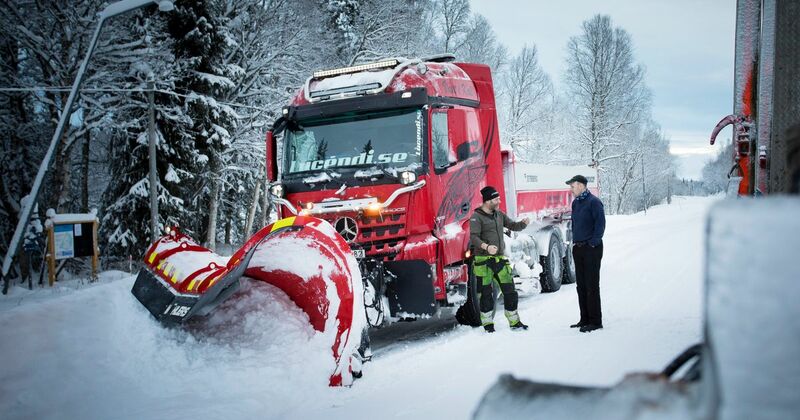 Mercedes has released a series of pictures showcasing a snow plough vehicle based on its versatile Arocs HGV platform. The 3258 8x4 is a large flat-bed style lorry with no fewer than three snow plough attachments. Great for clearing roads of snow and/or rabid vigilantes trying to steal your fuel supplies. The first and arguably scariest is the front plough. Standing 1.8 metres (6ft) tall and curling over like a wave in an aftershave advert, it scrapes the road down to an acceptable depth of hard ice and snow that the local cars can then deal with. Alternatively, it’d be great for wasting rusty buggies driven by metal-festooned madmen. It’s really a multi-purpose animal, this. At the side is another hefty plough, designed to press the snow into ‘ice walls’ at the roadside. It makes sure that the loose, freshly cleared snow doesn’t simply collapse back down onto the roadway. Then again, it’d also make a superb ram in a vicious Hollywood-style chase scenario, and helps protect the three rear axles from gunfire. Sidetracked? What do you mean? We’re just thinking of other potential uses. Remember to fit another one on the other side if the civilised world does come crashing down, though. 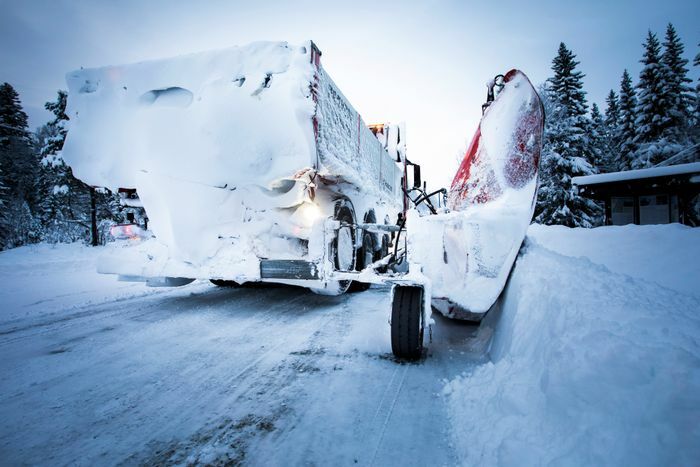 There’s a third, smaller plough on the left-hand side of this Swedish snow monster, for swiping away any mounds of snow in the middle of the road that might just miss the gargantuan front scoop. 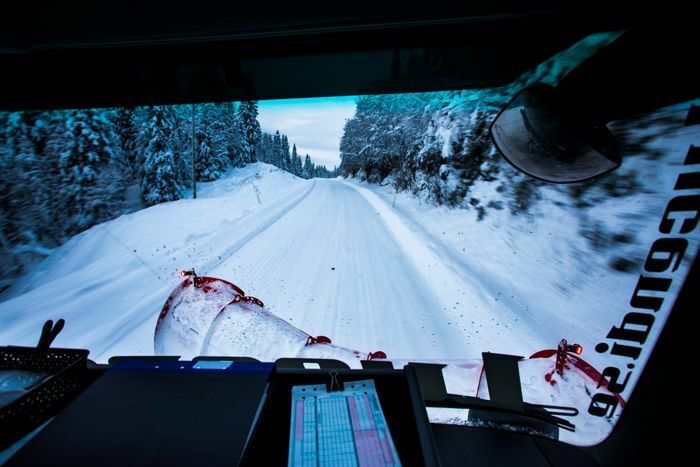 It’s normally driven by Jonas Vykander, pictured at the top with his faithful dog Saika, and his two driver colleagues. 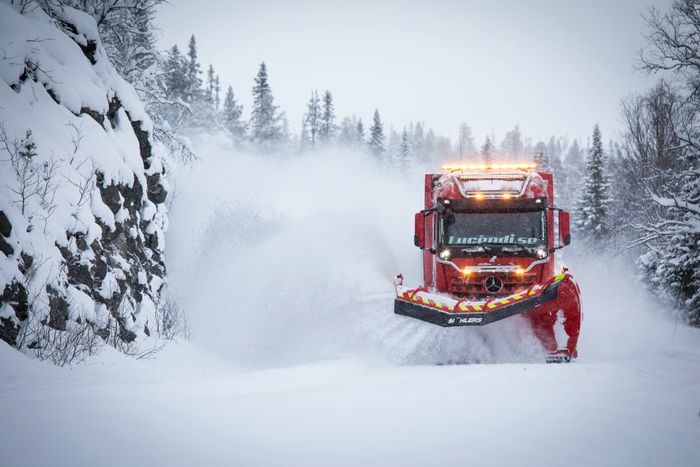 When needed, so pretty much all the time, the 570bhp truck drives a key 56.5-mile (91km) route towards Norway and then comes back in the opposite direction to clear both sides. Vykander and his team can sometimes need to do this 10 times or more in a single day, racking up as much as 620 miles (1000km). This 3258 uses spiked tyres on the steering and driving axles. Only the rear of the four axles, lifted in these images and normally reserved for summer work involving heavy loads, goes without spikes. 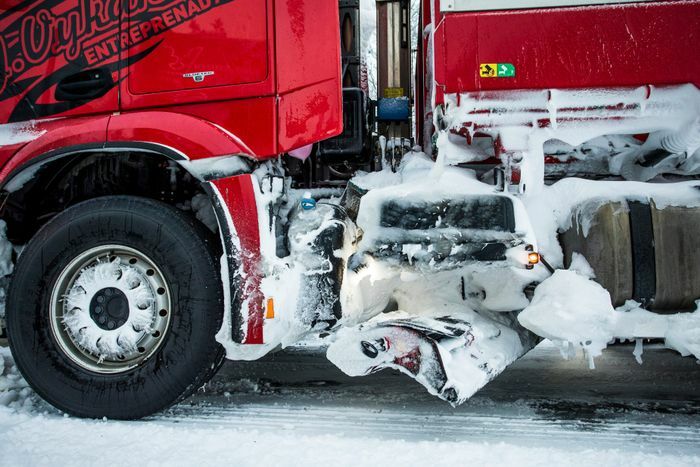 Snow chains are on board as well for really tough days, and they’re needed: around 40 per cent of the truck’s regular route has no mobile phone or two-way radio reception, so help might not be at hand.